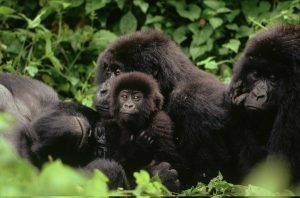 The 5 Days Congo Gorilla Safari Congo Gorilla Tour is one of the interesting safaris that offer you an opportunity to encounter Mountain gorillas in Africa’s most picturesque Virunga National Park situated in North-Eastern part of DR Congo. The 5 Days Congo Gorilla Safari Gorilla to Virunga National Park provides you a life changing experience which will stay in your heart and mind for the rest of time on Earth. 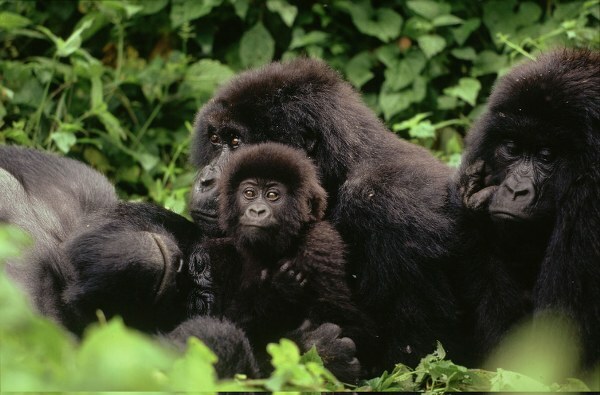 Mountain gorillas are highly intelligent, good natured, and fascinating to observe. The silverback’s powerful presence is awe-inspiring, yet his calm clearly earns him the title, “gentle giant”. The safari also offers you chance to hike to Nyiragongo Volcanoes- one of Africa’s most active volcanoes located just 20kms/12miles north of Goma. The hike to the summit (alt. 3,470m/10,410ft) involves walking through lush forest and lava fields to reach the edge of a 1.2km/0.7miles wide crater and a magnificent lava lake .The five days Congo gorilla trekking safari will start and end in Kigali international airport. Day 1 of the 5 Days Congo Gorilla Safari Congo Gorilla Tour: Arrive at Kigali International Airport & Transfer to Goma. Day 2 of the 5 Days Congo Gorilla Safari Congo Gorilla Tour: Early Morning Gorilla trekking in Virunga National Park. Day 4 of the 5 Days Congo Gorilla Safari Congo Gorilla Tour: Make Decent from Nyiragongo Volcano, Transfer to Goma & Afternoon transfer to Gisenyi in Lake Kivu Beaches. Day 5 of the 5 Days Congo Gorilla Safari Congo Gorilla Tour: Early Morning transfer to Kigali & Departure.